The residence has its own salt water swimming pool, offering perfect summer refreshment. The pool also features a sundeck with loungers, a sofa set, parasols and a solar shower. 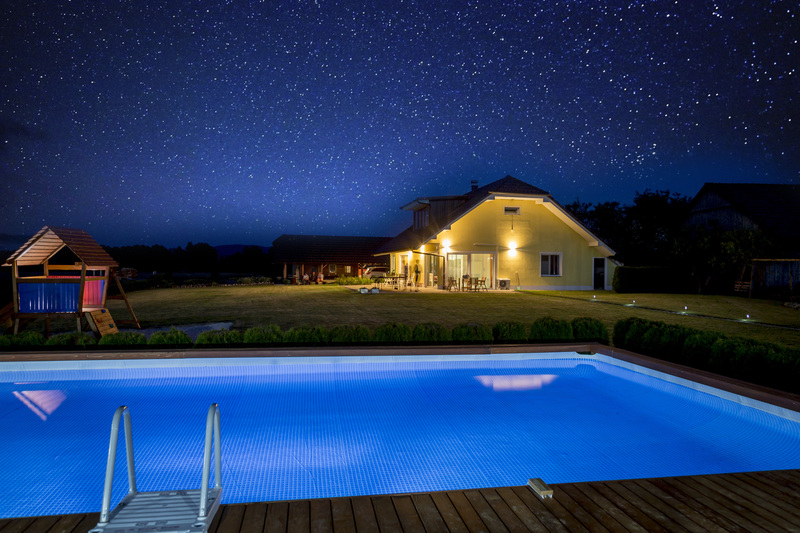 Night lighting and a hi-fi system allow you to continue having fun by the pool also during night-time hours. Ana is also very attentive to hikers and cyclists. After an active day exploring the area, guest can relax in a Finnish sauna. Sports enthusiasts will appreciate a table tennis table, badminton net and six bicycles of which two have an electric drive. Ana did not forget about the little ones who can play in a sandpit with high quality playthings.